RD1U, RD2U what does that mean? RD1U is short for “Rack Drawer 1U”. It is a drawer designed to fit in a 19″ wide rack. 1U is 1 Rack unit or 1.75″ per unit in hight. 2U, 3U, 4U is 2×1.75″, 3×1.75″, or 4×1.75″ etc. 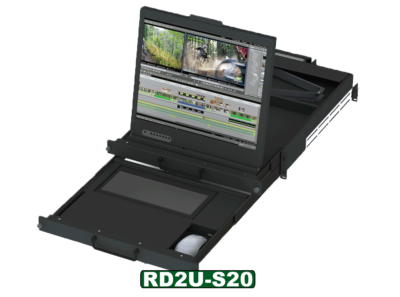 Therefore our RD2U would fit a 19″ wide and be 3.5″ tall and it’s depth would be based on the series. 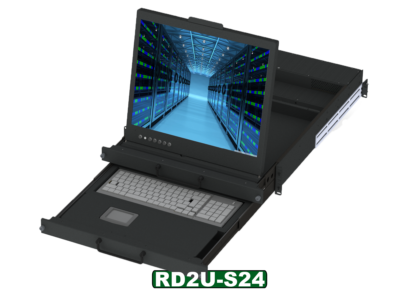 RD1U-S and RD2U-S is our S Class or Split Rack Drawer design, meaning the monitor and keyboard move independently of each other. That means you can keep the monitor up for constant viewing and put the keyboard into stowed position. Some units have built in KVM switches which we put in the back portion of the rack drawer. 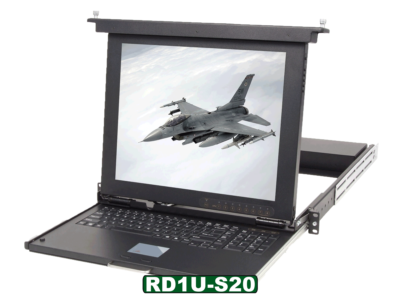 Right now these drawers have 2 series, the RD1U-S20 which is 1U split that is 20″ deep and has limited options and the RD2U-S20 Which is 2U split that is 20 inches deep and has many more KVM Switch, LCD and keyboard options .